“Every individual who becomes pregnant has the fundamental right to choose to carry the pregnancy to term, to give birth to a child, or to have an abortion,” the new legislation declares. And so, New York State now has legislation that permits murder for convenience. The new act, which was subsequently signed by New York Gov. 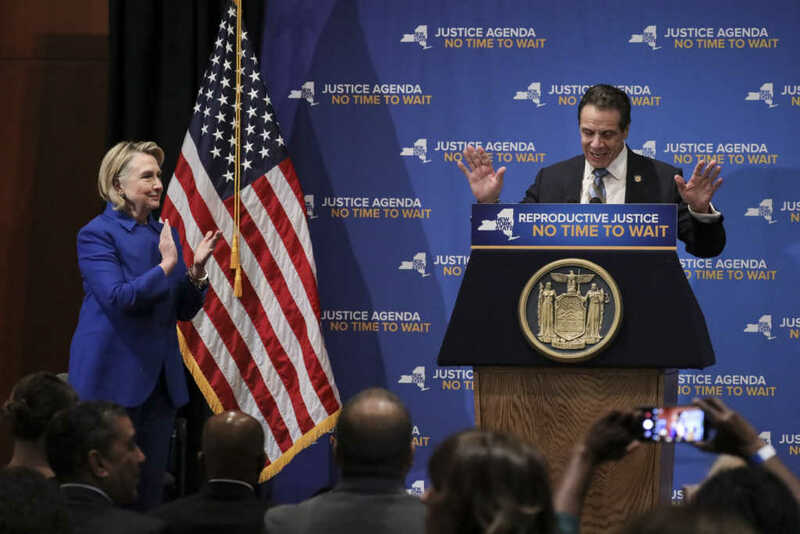 Andrew Cuomo, will mean that the killing of a late-term baby will no longer be criminalized but instead will be governed under the public health code. Previously, the termination of an unborn child over 24 weeks could result in arrest on charges of homicide. Now, pre-born babies will be stripped of legal protection and mothers will have limited legal options should their unborn children come to harm. What has the reaction been from pro-lifers? The outrage at the passing of this new legislation was, as one can imagine, both immediate and severe. Indeed, while the majority pro-abortion crowd inside the Senate appeared to be delighted with the outcome, one lone voice reportedly cried out, “May almighty God have mercy on this state!” right after the result was called. Senate passes RHA 38-24, voice can be heard shouting "may almighty god have mercy on this state"
New York State just passed a bill that legalizes abortion up until birth (40 weeks). Here is an in-womb 3D photo of my daughter at only 29 weeks. Whether you are pro-life or pro-choice, abortion should break you. There's nothing to triumphantly shout about, nothing to celebrate. Loss of life should grieve us all, regardless of where we fall on the abortion spectrum. Any other reaction is tragic. “In the face of a federal government intent on rolling back Roe v. Wade and women’s reproductive rights, I promised that we would pass this critical legislation within the first 30 days of the new session — and we got it done,” he added in the statement. “With the signing of this bill, we are sending a clear message that whatever happens in Washington, women in New York will always have the fundamental right to control their own body,” he said.